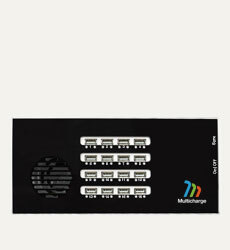 Charge up to 8 USB devices at the same time. 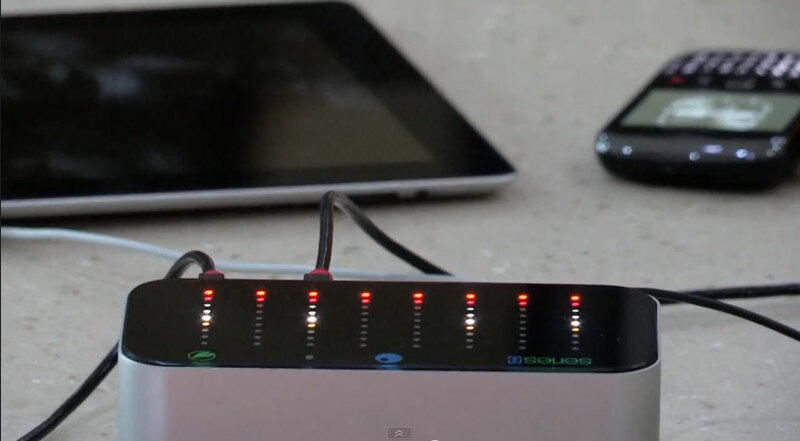 A standalone charger with a single lead. Compatible with any USB-chargeable device. Free Delivery! Mainland UK. POA elsewhere. 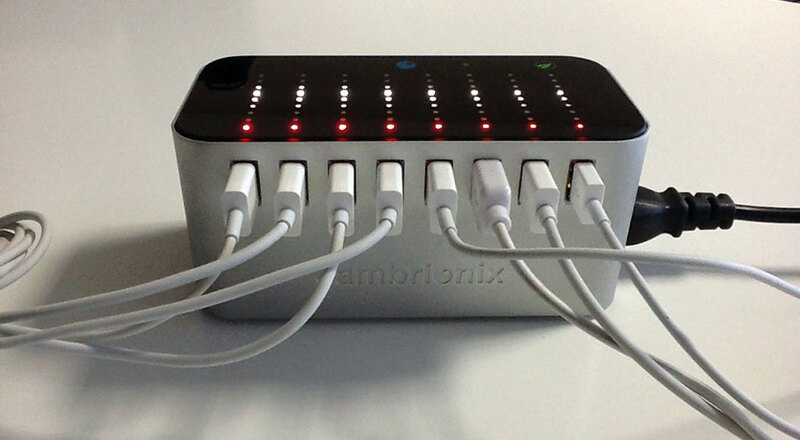 The Cambrionix Series8 charging station lets you charge a wide variety of different devices at the same time, all from a single power socket. 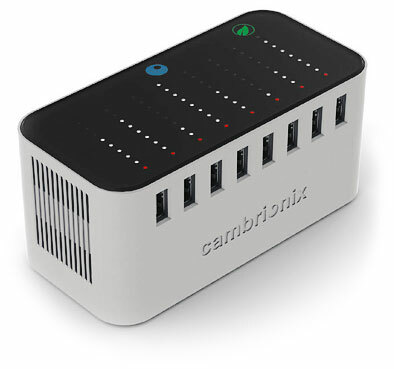 The Cambrionix Series8 will charge smartphones, tablets, headsets, cameras, e-readers and any other USB chargeable device including those from manufacturers such as Apple, Samsung, Asus, HTC, Nokia, GoPro, Sony and many more. 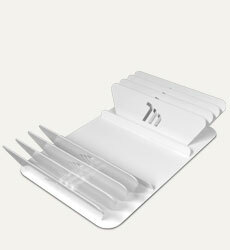 Each USB chargeable device is charged at its optimum rate, helping to maximise battery life and cut power consumption. Reduce clutter and cable hazards in the home or office with the sturdy and portable Cambrionix Series8 USB charging station. 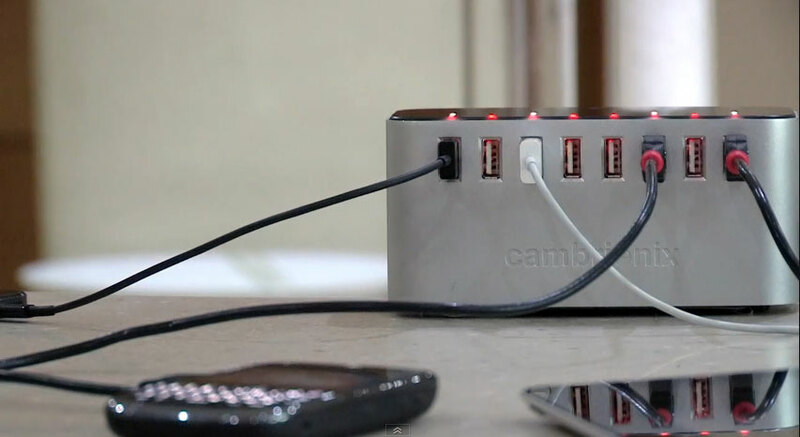 Just plug the Cambrionix Series8 into a power socket and you are ready to start charging your devices. 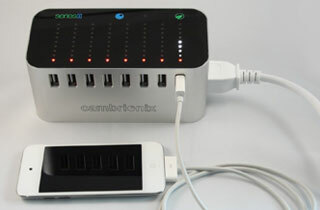 You can charge up to eight devices at once, and lights indicate when each device is charging and fully charged. After the Series8 has charged your device, it will shut down power to the device to help maintain a healthy battery and to minimise power consumption. 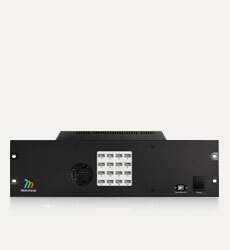 When you connect your devices into any of the Series8 ports, the Series8 will automatically detect what has been connected to the port and will choose the best way to charge it. 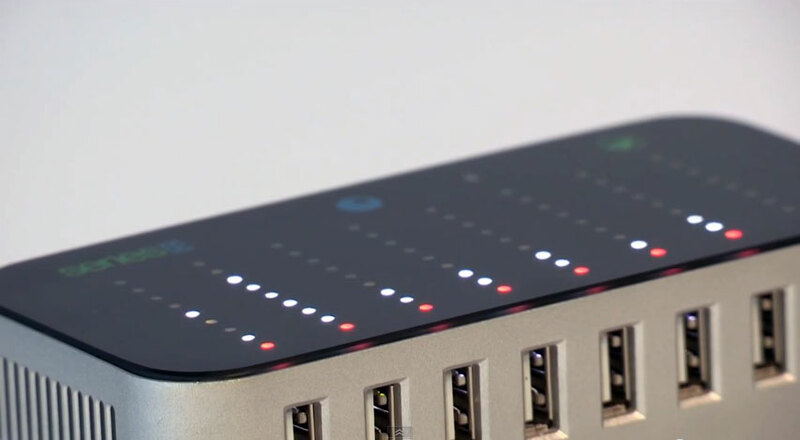 The Series8 is designed to be future-proof and can be updated to recognise future products simply by connecting it to your laptop and running the Cambrionix updater available from the Cambrionix website. 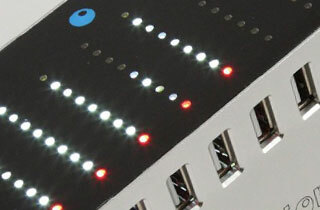 As a bonus, lights on the Cambrionix Series8 can be switched to an attractive 'party mode' during which they respond to sounds and flash accordingly - great if you are playing music. 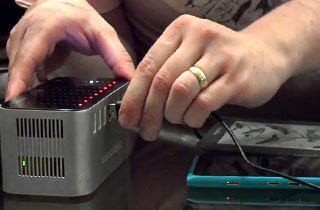 Simply touch the Cambrionix logo to activate Party Mode, and touch again to return to Normal Mode. Devices will continue to charge in the background while in Party Mode. 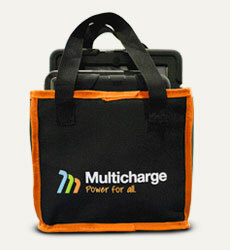 Power usage alert: To avoid overloading the charger, it is recommended that you charge no more than 3 tablets at any one time, however you may still charge smaller items such as phones at the same time as the tablets. Complies with the relevant standards required for CE compliance. Tested and found to comply with the limits for a Class B digital device, pursuant to part 15 of the FCC Rules.